California Gov. 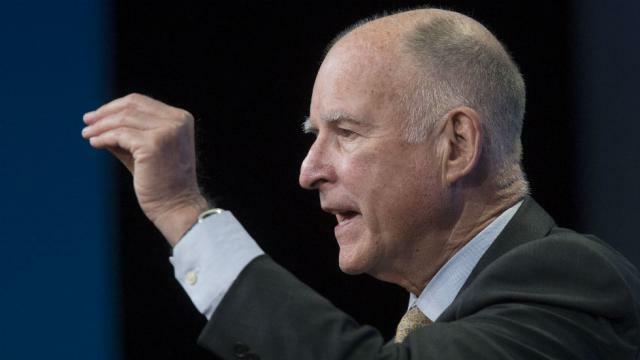 Jerry Brown (D) on Saturday reportedly pardoned two men just days before they were scheduled to be deported for crimes in the U.S.
Brown granted pardons to 132 individuals, and commuted 19 prison sentences. Among those pardoned were Mony Neth and Rottanak Kong, both Cambodian men who were picked up during October immigration sweeps, according to The Sacramento Bee. Pardons are reserved for “individuals who have demonstrated exemplary behavior and have lived productive and law-abiding lives following their conviction,” according to the governor’s office. In his pardon, Brown wrote that both Kong and Neth have “lived an honest and upright life,” and “exhibited good moral character” since being released from prison. The pardons may eliminate the reason for their deportations, an attorney told the Sacramento newspaper, which noted that the men will still need to ask immigration courts to reopen their cases. President Trump made immigration a key issue during his campaign, and since taking office has continued calls for a border wall along the U.S.-Mexico border. He also issued a travel ban preventing those in several Muslim-majority countries from entering the U.S.